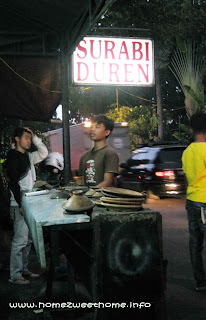 Last Saturday, we broke our fast at an eating place that popular with its durian pancakes. The place was already full, we must share the table with others. The pancake is yummy; but it's too sweet for me. I am not into so much sweet but that looks tasty! Wow my first time to hear durian pancake. Does it smell like fresh fruit durian too? 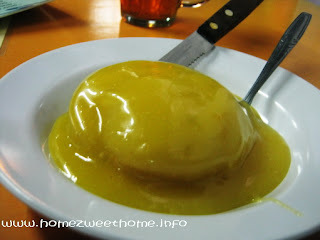 wow, durian pancake? that sounds interesting! Haven't heard either about durian pancake before. But I can imagine how delicious it can be, like the durian ice cream, candies and shakes, which I also like to eat. I haven't tried durian pancake. Looks yummy.